The remains of Carla Stefaniak are being brought back to Tampa Bay. 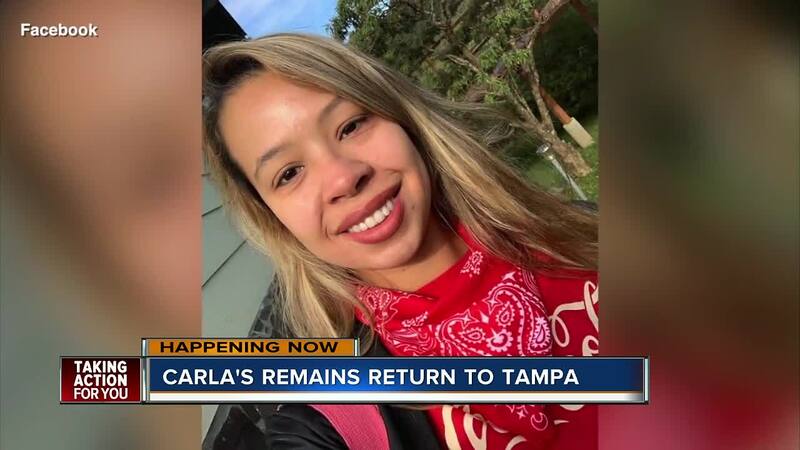 TAMPA, Fla. — The remains of Carla Stefaniak, 36, are back in Tampa Bay. Nearly one week after friends and family took off for an international search for answers, Friday night marks a heartbreaking end to the vacation mystery. Stefaniak's friend is brought home the Tampa Bay woman's ashes. The 36-year-old was killed was gruesomely killed while vacationing in Costa Rica, where she went to celebrate her birthday with her sister-in-law in Costa Rica. Her body was located roughly 1,000 feet away from where she had been staying, authorities say. A security guard for the Airbnb where Stefaniak was staying has been arrested in the case. An autopsy showed multiple stab wounds to the "neck and upper extremities," as well as blunt force trauma to the head, said Walter Espinoza, a spokesman for Costa Rica's Judicial Investigation Department.